Nigeria’s Federal Inland Revenue Service (FIRS) has restated its determination to recover all revenue accruable to the Federal Government. To achieve the objective, the service said it had already listed companies and organisations indebted to the government in fiscal year. 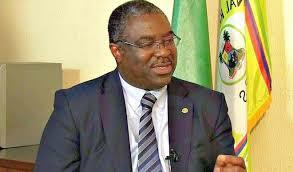 The Executive Chairman, FIRS, Mr Babatunde Fowler, made this known in an address at the ongoing 30th Enugu International Trade Fair, in Enugu. Fowler, who was represented by Mr. Ben Obiorah, Tax Controller, Micro and Small Office, Enugu, said that to fish out all outstanding revenue owed the federal government; they had, since 2018, focused on businesses with huge annual turnover. “You may be aware that since 2018, FIRS, has focused attention on businesses with huge turnover, but no record of commensurate payment of their tax obligations. “This will continue in 2019, several of such companies have already been contacted by the dervice leveraging on various data sources. “We urge you all to comply with the provisions of the tax laws as we are duty bound to recover all revenue due to the FG and the people of Nigeria,” he said. He, however, urged the business community, law enforcement agents and well-meaning citizens to continue to partner with FIRS to ensure that tax defaulters were traced to face the consequences while compliant businesses would receive all the support they required. Fowler said that the service was working hard to ensure that national revenue continue to grow through tax remittances. “We at the FIRS are working hard to ensure that we are in full alignment with all efforts to grow national revenue from taxation while easing the administrative burden inherent. “We place emphasis on human resources as one of several tools to achieving our aim of expanding the tax net which is why we recently recruited more young Nigerians to effectively provide adequate services to all the nooks and crannies of the country,” he said. Mr Emeka Udeze, in a welcome address by the President of the Enugu Chamber of Commerce Industry Mining and agriculture (ECCIMA) welcomed participants to the event and to congratulated the management and staff of FIRS for the successful organisation of the event. Subscribe. to our mailing list. Get the latest news & trends delivered to your inbox.